The Spurs are in the NBA playoffs. Go Spurs Go! While many businesses feel a boom from walk-by traffic during the Fiesta events (you’re especially in luck if you’ve got a business that is located near – or hosts – one of the main events), a large percentage of businesses in San Antonio actually feel a bit of a crunch during this festive time. The reason seems simple: many of the customers who would normally be in a consumer-mode are avoiding spending any extra money so that they can attend more and spend more at Fiesta events. Have you ever priced the chicken-on-a-stick at NIOSA? How about the kettle corn at Oyster Bake? And don’t even get me started on price of a raspa if you’re standing on Broadway during the Battle of Flowers Parade. Why the heck does it cost that much? The point being, these things can add up quickly. If this seems to happen to your business every year, fear not! There are ways to actually capitalize on the increase in consumerism during this most joyous time of year, even if you’re not a street vendor selling over-priced snacks and goodies. If you’re a regular to the Citywide SEO blog, you know that I’m not a huge fan of using Social Media as your primary source of digital marketing. There’s just too many variables and not enough actionable conversion points. I don’t like it. That being said, Social Media is a terrific (and nearly essential) supplemental avenue to grow visibility and user engagement with your business. During festivities, such as Fiesta, Christmas, Thanksgiving, Fourth of July, etc., there is almost always an increase in social media activity that correlates with that event. Posting content that connects your business to Fiesta is a great way to help get additional traction among users. For example, you can create a Facebook or Twitter ad with a special coupon code for a “Fiesta Sale,” or post fun pictures of your staff engaging in Fiesta-themed activities. Make sure to use event-specific mentions and/or hashtags, as this will help increase your visibility. If you’re looking to really capitalize on the social media awareness, try creating an event that dovetails with the most popular Fiesta events. Each of them have their own event page on social media, so be sure to @mention them in your posts so you can get some of the cross-promotional traffic. Also, if all of this sounds like I’m speaking Russian to you, maybe you should contact an expert in social media marketing like Citywide SEO. Just throwing in that little bit of shameless self-promotion there. Don’t panic. This doesn’t have to be ultra-complicated. Now, that’s a really quickly put-together thought, but something in this vein would work well, especially if you include keywords for popular events, such as Oyster Bake. 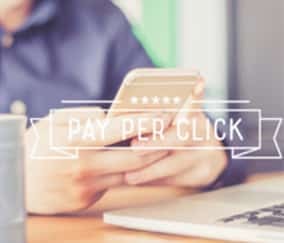 You can do the same thing with any display ads or video pay-per-click ads you may be running. The idea is to capture as much traffic to your business as possible from the consumers who are already searching for Fiesta-related keywords. One of the most obvious ways to involve your business in the Fiesta marketing swell is to create an event that correlates with Fiesta in some way. Once you’ve got your event scheduled and planned, you absolutely, 100% need to publicize it. The best, quickest way to do that is through digital marketing. Mention the event on your social media, create AdWords campaigns that focus on tying your event with a Fiesta event, and even create content on your website with specific keywords that feature Fiesta details. For example, let’s say you want to hold an event a few hours before The Flambeau Night Parade, you should make sure to create a page within your site about the event, include keywords and title tags that include Night Parade and Fiesta, and blast the event on all your social media. That way, when customers are looking through social media or Google for info, they’re more likely to come across your event and decide they’re interested in attending. Want some immediate visibility? Create a Fiesta Medal. Let your customers do the work for you in promoting the business. People love medals, and the more unique and creative, the better. This might be the most important marketing tip of all. Fiesta is all about community, family, fun and food. Don’t let the stress of Fiesta marketing take that away from you. If you’re not having fun with Fiesta, your customers probably won’t be interested in having fun (or doing business) with you. So, cheer up, grab a chicken-on-a-stick and enjoy the ride. It’s Fiesta season, after all. Don’t take yourself too seriously. Remember these helpful tips and you can make this Fiesta a resounding success. If you’d like some assistance with any of these, be sure to contact our team of experts here at Citywide SEO and we’d be happy to offer a complimentary consultation.